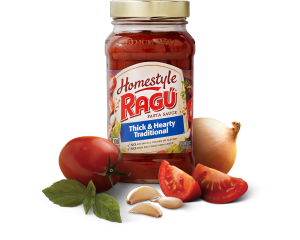 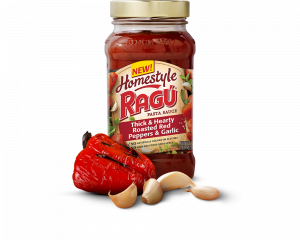 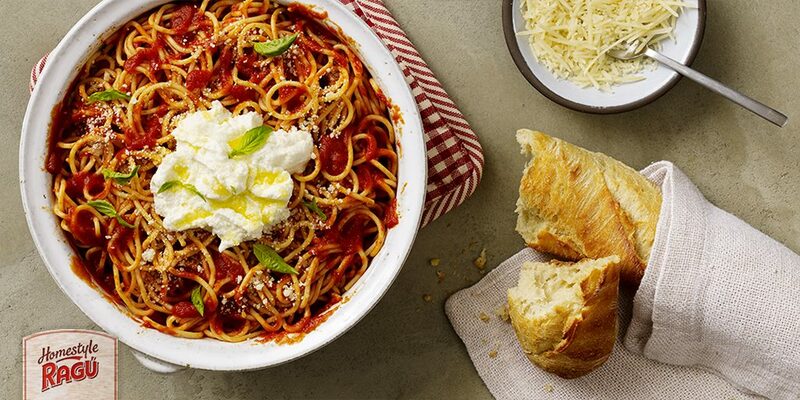 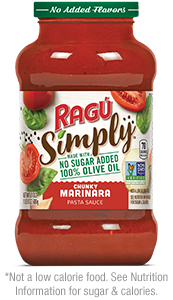 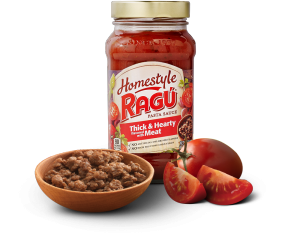 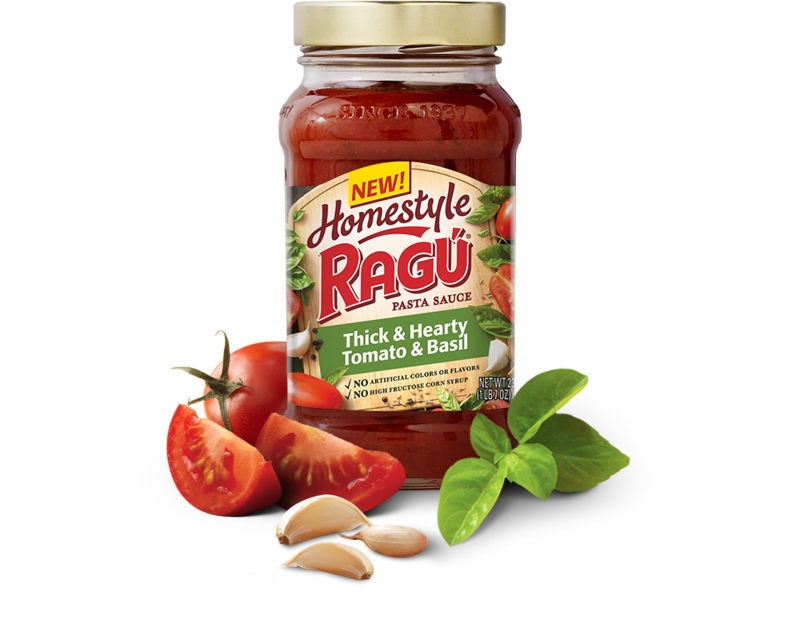 Other sauces can’t match the texture you’ll find with Homestyle Thick & Hearty Tomato & Basil Sauce. 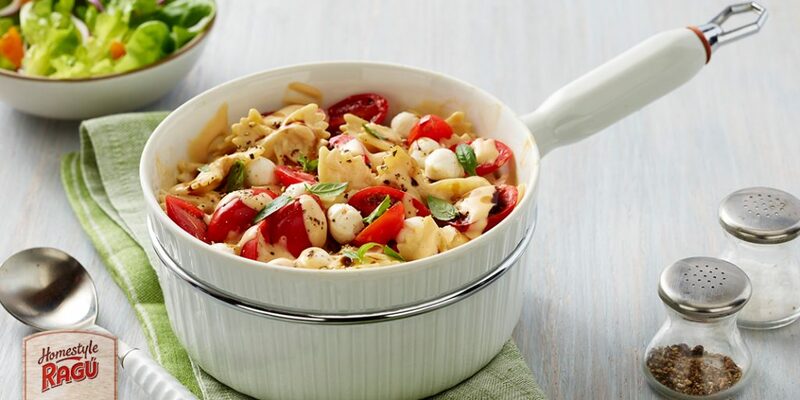 Plump tomatoes meet flavorful basil in this robust take on a traditional favorite. 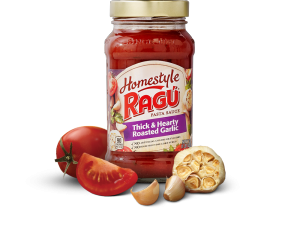 Tomato Puree (Water, Tomato Paste), Diced Tomatoes In Juice [Diced Tomatoes, Tomato Juice, Calcium Chloride, Citric Acid], Sugar, Soybean Oil, Onions, Basil, Salt, Spices, Dried Onions, Garlic Powder.